I love this post, Jane. 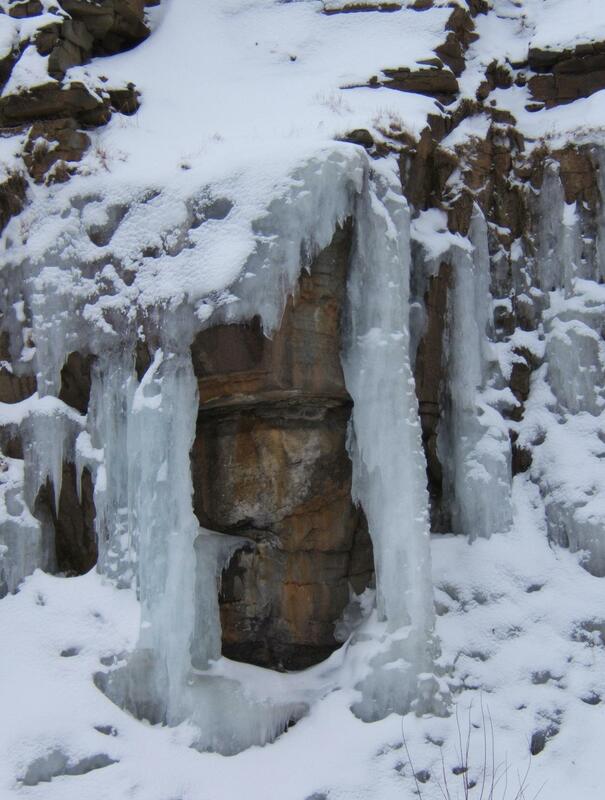 I’ve always thought those icicles along the rock walls of roadways were bits of beauty, nature’s way of decorating. What a beautiful poem! I love that wall of ice. Stunning photos… Thank you. Here in Connecticut we have many trout brooks and rocky outcroppings. There are some magical places where this happens here too…although the only place I ever saw this type of ice was up at Whetstone Brook on it’s three falls. 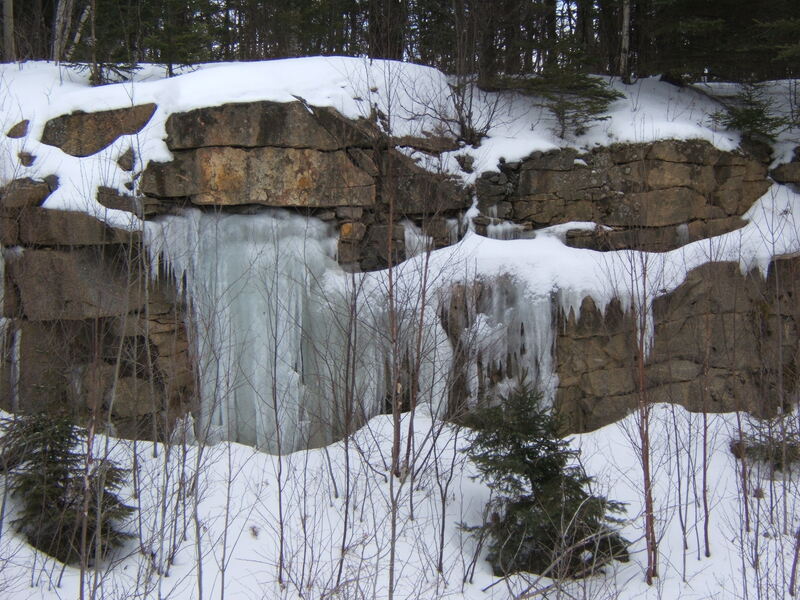 The enormity of the falls and the ice and the power of the restrained water seeping through is something to behold. I’m so glad you were able to capture a bit of it to share with us all. Hi, Jane, Thanks to Ellen I found your site. It is surely something I’ll be looking forward to. This Post is by Jane Tims, reblogged with her kind permission. Jane is a botanist and writer; from New Brunswick, Canada.